Odyssey Expo 2019 is a one-of-a-kind experience, specifically targeting print finishing, diemaking and diecutting professionals. 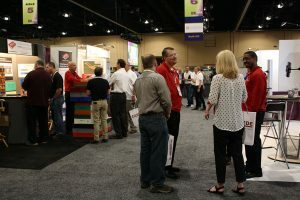 In 2017, more than 1,600 print finishing, diemaking and diecutting professionals took advantage of live equipment demonstrations, classroom education sessions and networking receptions to improve their businesses — and 108 suppliers were on hand to share the latest equipment, services and supplies. No other event focuses specifically on these industries. What can you expect to find in Atlanta?